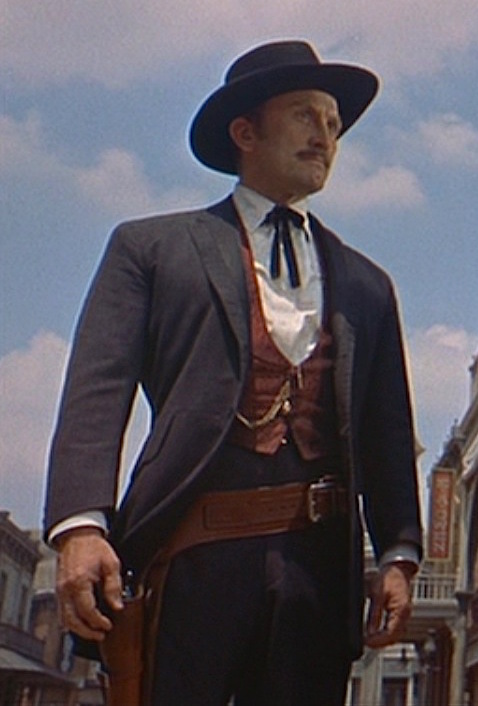 Kirk Douglas as John “Doc” Holliday in Gunfight at the O.K. 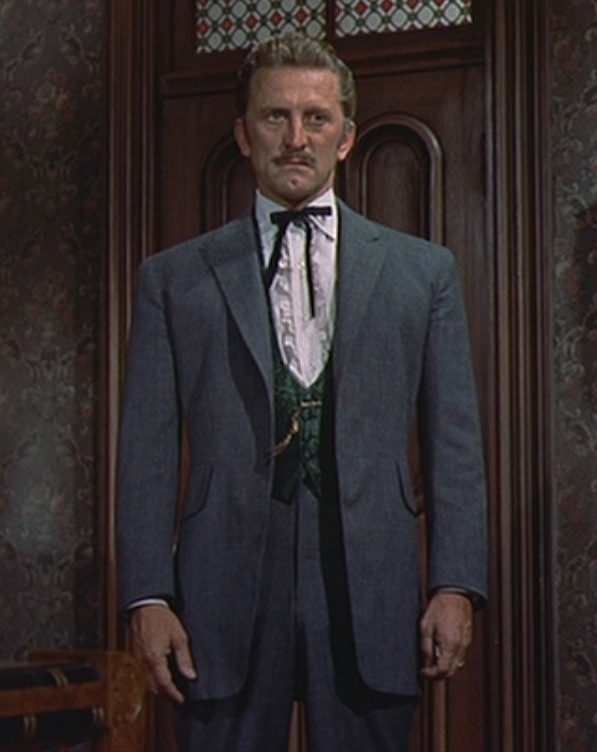 Corral (1957). Friday’s post focused on Raylan Givens, the dark-suited U.S. Marshal who would’ve been more at home in the Old West rather than the era of cell phones, electric cars, and Bieber. In fact, Raylan would have fit in perfectly 134 years ago today as Doc Holliday joined the Earps for their long walk toward the O.K. Corral and a showdown that would engrain them in western lore.